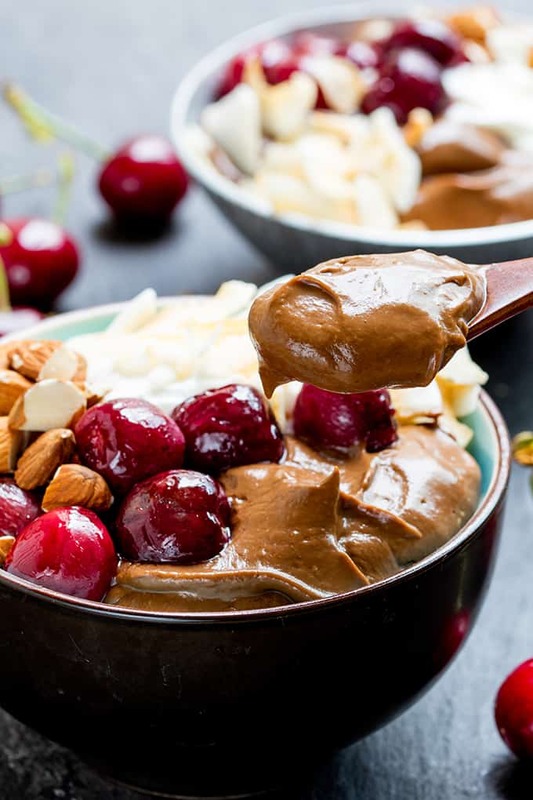 Avocado chocolate mousse bowl with roasted cherries – sweet, indulgent but healthier too! Honestly, right now I could eat a bucket of melted chocolate. In fact last night, after finding a 200g bar of dairy milk in one of our many kitchen boxes, I melted it down, then me, Chris and the kids hunched around, dipping anything edible we could find into that bowl of sweet, calorific heaven. Biscuits, satsumas, marshmallows, raspberries, pretzels, you name it. For the kids, it was a fun and greedy treat. For Chris and I, it was a sticking-plaster-stress-reliever after hearing that work on our kitchen was being put back again. I’m trying to be patient. But after a month of no kitchen, thick layers of dust everywhere, and the conclusion that we won’t be done by Christmas, we succumbed to stuffing ourselves with chocolate. And then we felt bad about it afterwards!!! So this morning I’ve been looking through my little stockpile of a few recipes I’ve made, but not blogged yet, and I came across this avocado mousse bowl that I created for Superfood Magazine a couple of months ago. This is going to be my go-to next time I NEED a chocolate fix. Of course, I haven’t got an oven right now, so I can’t roast the cherries (which is a bloomin shame, because those roasted cherries are sooooo good), but I have got a little plug-in hob, meaning I can caramelise them in the pan. 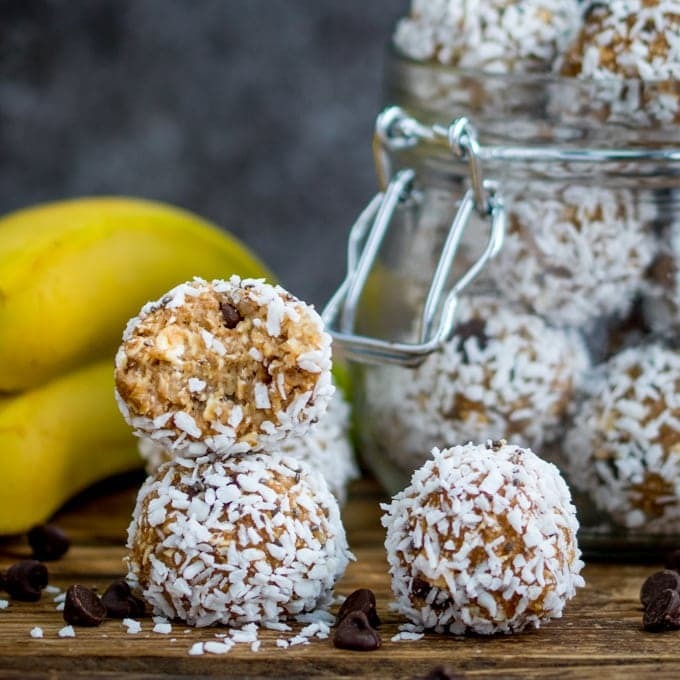 The rest of the dish is no-bake, so it’s easy peasy and a whole lot healthier than buckets of melted chocolate! 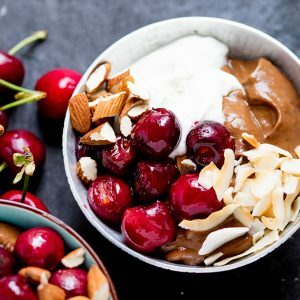 Avocado chocolate mousse bowl with roasted cherries - sweet, indulgent but healthier too! Place the avocados, banana, almond milk, vanilla bean paste, raw cacao and one tablespoon of the honey into a food processer. Blend until smooth and creamy, taste and add more honey or cacao if required. Cover and refrigerate for 1 hour. Mix together the cherries and the remaining half a tablespoon of honey. 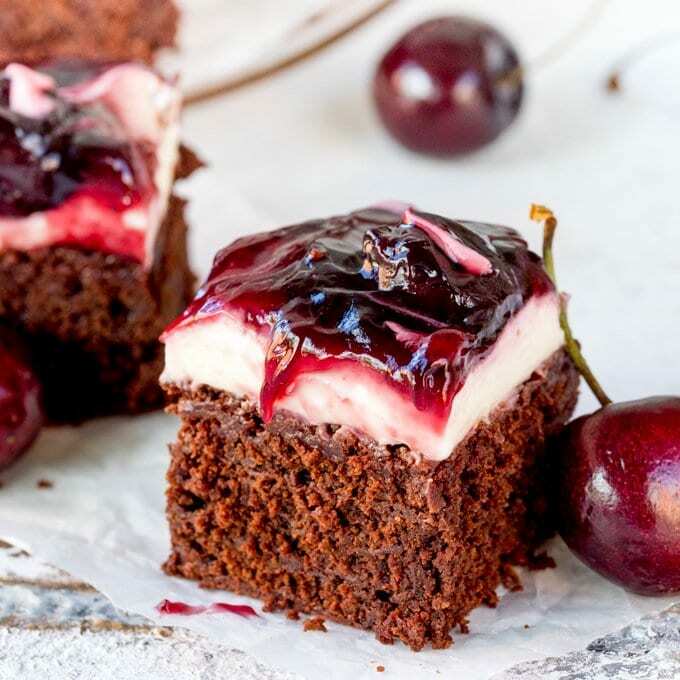 Place on a small baking tray and roast in the oven for 8-12 minutes until the cherries start to release their juices. Remove from the oven and leave to cool slightly. 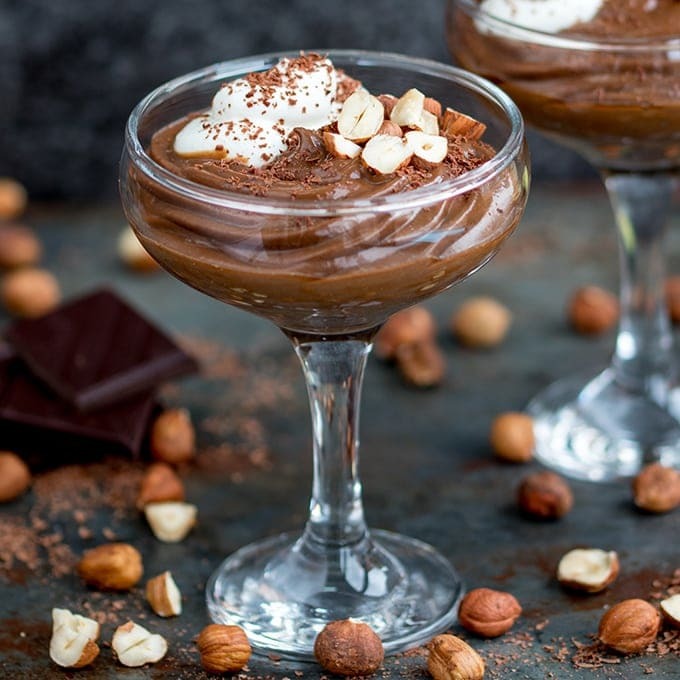 Take the mousse out of the refrigerator and divide between two bowls. 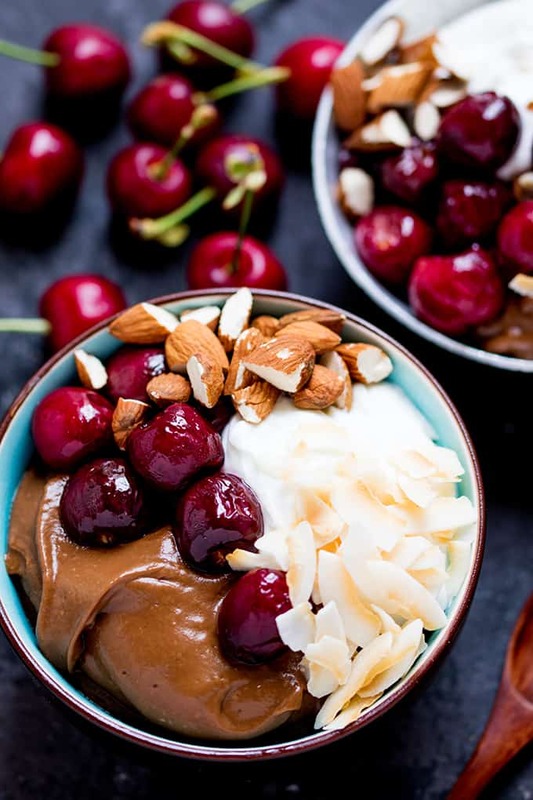 Top with the roasted cherries, Greek yogurt, chopped almonds and toasted coconut flakes before serving. Gorgeous toppings to this mousse, just had to make it whilst cherries were still in season. 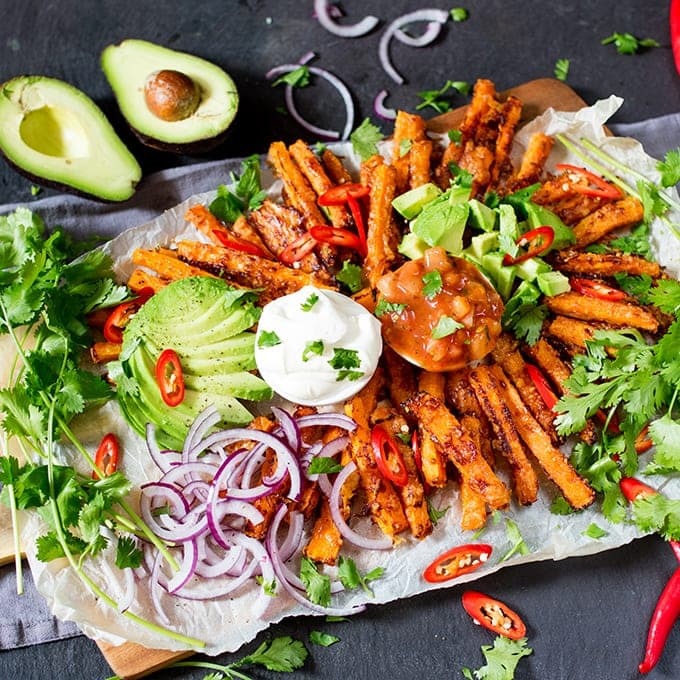 So yummy. I’ve made avocado mousse before, but I’ve never added such scrumptious toppings! Roasted Cherries?! Yes, please! Thank you for sharing!